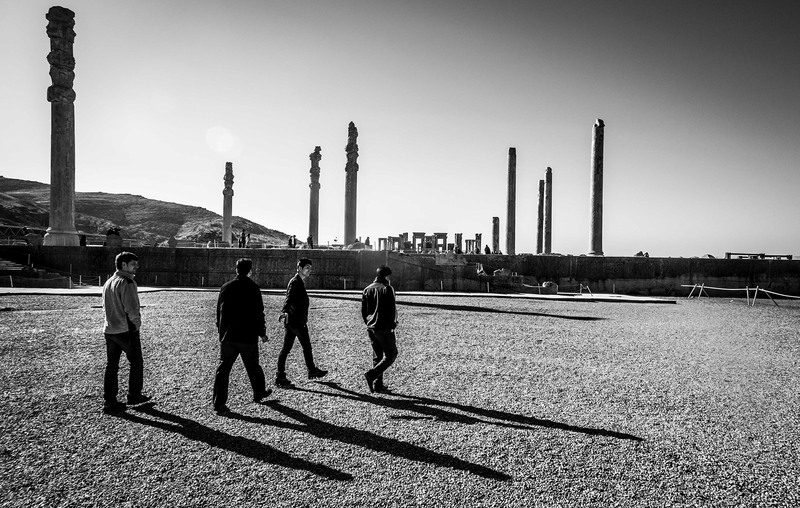 Mahmoud, Hossein and Mehrdad (the three men all in black) are cops from Tehran on a trip in Persepolis. During the Nowruz-holidays many families visit Persepolis (meaning 'the city of persians'). Persepolis was declared World Heritage in 1979. It was the home of Cyrus, Darius and Xerxes. The site is 2000 years old and many Iranians cherish the idea of a Persian Empire.